FreeCiv Game - Download and Play Free Version! FreeCiv is a turn-based strategy game where you build and lead a civilization to become the greatest of all time! 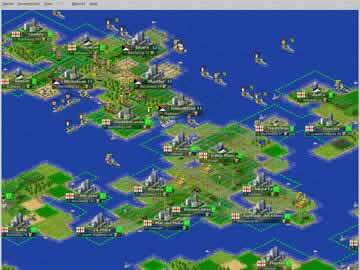 FreeCiv is an Open Source game similar to the popular PC Civilization series by Sid Meier. Your goal is to build cities, collect resources, organize your government, and build an army. FreeCiv features a lot of strategy and a ton of variety. You can choose to build many types of civilizations throughout history and take several different paths to victory. This game is completely free.